Bone cancer is very rare in adults; it’s mostly seen in cases of pediatric cancer. Cancer starts in the cells that make up the bone when cells begin to grow out of control. Cells in nearly any part of the body can become cancer, and can spread to other parts of the body. Bone cancer can begin in any bone in the body, but it most commonly affects the pelvis or the long bones in the arms and legs. Bone cancer is rare, making up less than 1 percent of all cancers. In fact, non-cancerous bone tumors are much more common than cancerous ones. The term “bone cancer” doesn’t include cancers that begin elsewhere in the body and spread (metastasize) to the bone. Instead, those cancers are named for where they began, such as breast cancer that has metastasized to the bone. Some types of bone cancer occur primarily in children, while others affect mostly adults. Surgical removal is the most common treatment, but chemotherapy and radiation therapy also may be utilized. The decision to use surgery, chemotherapy or radiation therapy is based on the type of bone cancer being treated. Osteosarcoma: also known as osteogenic sarcoma, is the most common type of bone cancer and typically starts in bone cells in the arms, legs or pelvis. It occurs most frequently in individuals between the ages of 10 and 30, and is more common in males than females. Chondrosarcoma forms in cartilage cells and is the second most common form of the disease. This type of bone cancer rarely occurs in people under the age of 20, and the chances of developing it increase with age. Ewing tumor, also known as Ewing’s sarcoma, typically starts in the bones, but can also start in other tissues and muscles. It is the third most common form of primary bone cancer. It occurs most frequently in children and teenagers, and is rarely seen in adults over the age of 30. Fibrosarcoma and malignant fibrous histiocytoma typically develop in the soft tissue around the bones, such as tendons, ligaments, fat or muscle. These types of bone cancer also tend to occur in older adults, and usually affect the arms, legs or jaw. Giant cell tumor o can have benign and malignant forms, although the malignant form is less common. It usually occurs in the arm or leg bones of young and middle-aged adults, and rarely spreads to distant parts of the body. However, these cancers may return after surgical removal, and the chance of spreading to distant sites increases with each local recurrence. Chordoma affects bones in the spine and the base of the skull. This type of bone cancer occurs most frequently in adults 30 or older, particularly men. It tends to be a slow growing tumor with a low risk of spreading to distant sites, but may return at the original site if not removed completely during surgery, and may eventually spread to the lungs, liver or lymph nodes. Make an appointment with your doctor if you or your child develops bone pain that comes and goes, becomes worse at night or isn’t helped by over-the-counter pain relievers. Inserting a needle through your skin and into a tumor. During a needle biopsy, your doctor inserts a thin needle through your skin and guides it into the tumor. Your doctor uses the needle to remove small pieces of tissue from the tumor. Surgery to remove a tissue sample for testing. During a surgical biopsy, your doctor makes an incision through your skin and removes either the entire tumor or a portion of it. The stages of bone cancer are indicated by Roman numerals, ranging from 0 to IV. The lowest stages indicate that the tumor is smaller and less aggressive. By stage IV, the cancer has spread to other parts of the body. The treatment options for your bone cancer are based on the type of cancer you have, the stage of the cancer, your overall health and your preferences. Different bone cancers respond to different treatments, and your doctors can help guide you in what is best for your cancer. For example, some bone cancers are treated with just surgery; some with surgery and chemotherapy; and some with surgery, chemotherapy and radiation therapy. Surgery: The goal of surgery is to remove the entire cancerous tumor. In most cases, this involves special techniques to remove the tumor in one single piece, along with a small portion of healthy tissue that surrounds it. The surgeon replaces the lost bone with some bone from another area of your body, with material from a bone bank or with a replacement made of metal and hard plastic. Bone cancers that are very large or located in a complicated point on the bone may require surgery to remove all or part of a limb (amputation). As other treatments have been developed, amputation is becoming less common. If amputation is needed, you’ll likely be fitted with an artificial limb and go through training to learn to do everyday tasks using your new limb. Chemotherapy: Chemotherapy uses strong anti-cancer drugs, usually delivered through a vein (intravenously), to kill cancer cells. However, this type of treatment works better for some forms of bone cancer than for others. For example, chemotherapy is generally not very effective for chondrosarcoma, but it’s an important part of treatment for osteosarcoma and Ewing sarcoma. Radiation therapy: Radiation therapy uses high-powered beams of energy, such as X-rays, to kill cancer cells. During radiation therapy, you lie on a table while a special machine moves around you and aims the energy beams at precise points on your body. Radiation therapy is often used before an operation because it can shrink the tumor and make it easier to remove. This, in turn, can help reduce the likelihood that amputation will be necessary. Radiation therapy may also be used in people with bone cancer that can’t be removed with surgery. After surgery, radiation therapy may be used to kill any cancer cells that may be left behind. For people with advanced bone cancer, radiation therapy may help control signs and symptoms, such as pain. 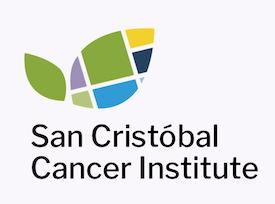 If you’d like to learn more about Bone Cancer through our San Cristóbal Education Resources, attend our events or learn about our Cancer Center, please contact us.